You always hear the phrases: de-clutter, clean up, and get organized, before you create a space for your home practice. My personal favorite is “find a room that is calm and void of all interruptions!” I have to admit, I tried all of these things and this nagging need for perfection, the yearning for a vibe that is “just right,” ended up robbing me of a valuable home practice for many years. You could spend eternity preparing a specific environment and never even step foot on your mat. So, let’s not over complicate things and get you on your mat fast! 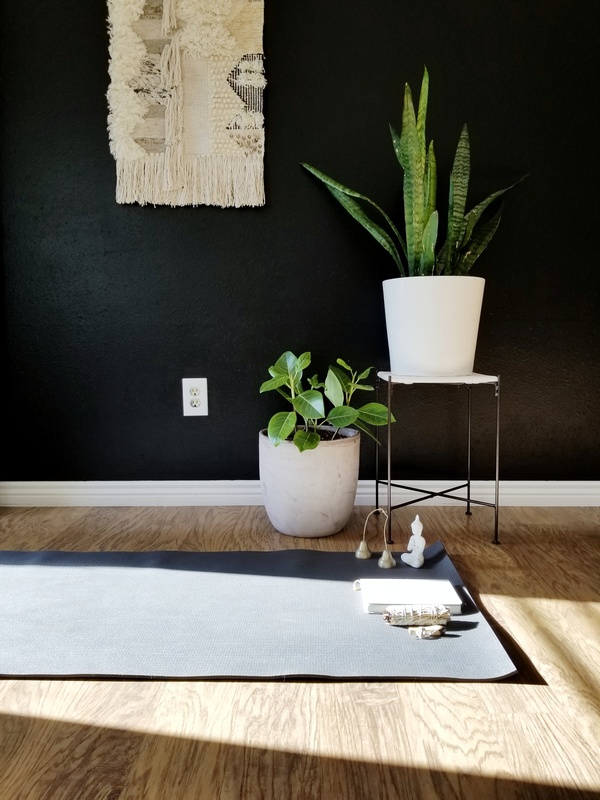 Here are 3 easy ways you can create a space for your home practice in 1 hour or less! Let’s start from the ground up! Find a spot in your home that has a semi-hard, level surface. I hear the sighs and yes, I know for some of you this will limit your options to your kitchen, dining room, or even your entryway. I promise … your body will thank you later! Now that you’ve narrowed your options down, pick one and don’t think too hard. I chose my entryway — with ample amounts of natural light and some of my favorite plants it is the perfect spot to set up shop. Now that you know your “where,” find a few of your favorite things and bring them along for the ride. For me, it’s a palo santo stick, tingsha bells that my grandmother brought back from China, my journal, and my favorite buddha figure. Perhaps for you, it’s a cup of tea in your favorite mug or even your favorite candle. Whatever they may be, each of these things should carry meaning and bring you joy — giving your home practice a deeper sense of belonging. For many of you, setting aside the time will be the hardest part. 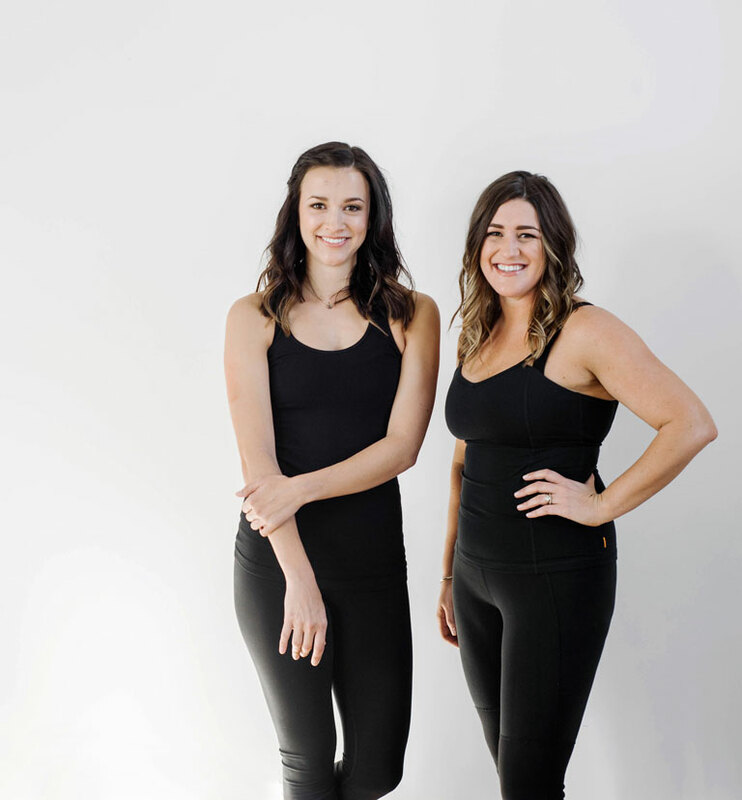 Between loads of laundry, making lunches, or school work, you may have already said, “not gonna happen.” Know this, whether 5 minutes or 45 minutes, no time on your mat is ever wasted. If you can, find “your time” — it could be that sweet moment between the rising of the sun and the pitter patter of little feet or paws. It may be during nap time or when your family/roommates run out for an errand. It doesn’t have to be the same every day, it likely won’t, and that’s okay. Each of you will have a home practice that is completely unique to you. For some of you, your space may be permanent, something you are able to set-up and leave. For others, like myself, it won’t. Be flexible with how you define your home practice and know that it doesn’t have to be instagram worthy and will likely be far from perfect. Lean into the the interruptions, imperfections, and enjoy the mess of it all. Now, roll out your mat and remember that your home practice is there to nurture and nourish no one else but YOU!